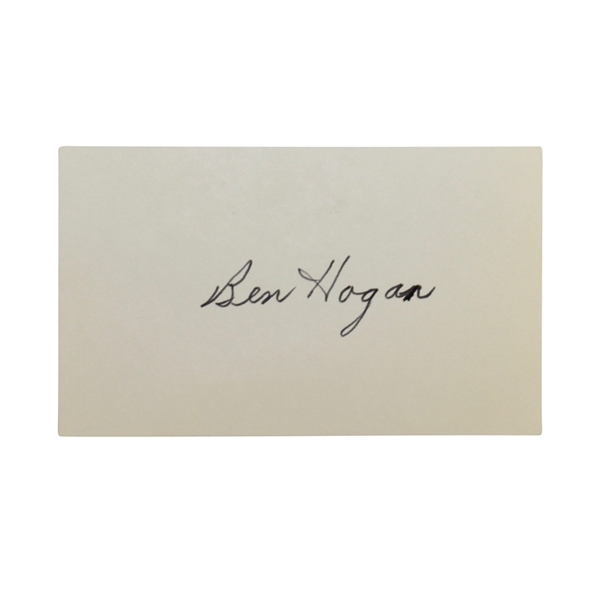 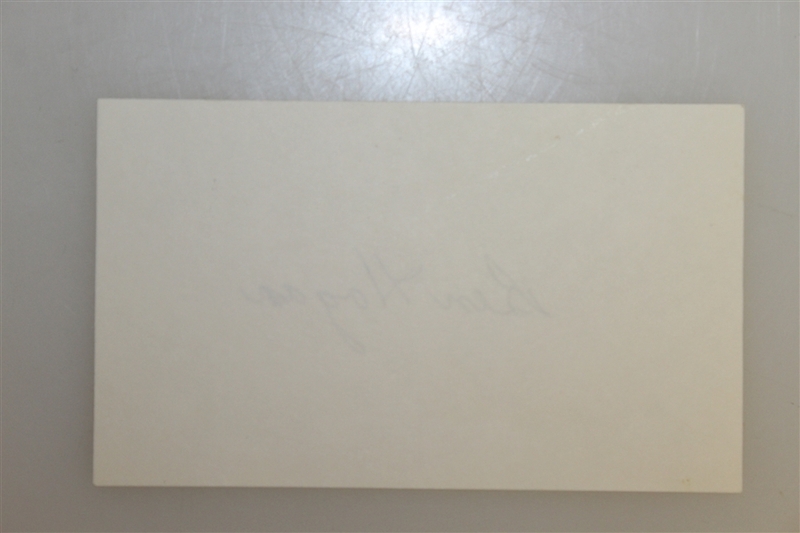 Presented here is 3x5 index card that has been struck by Ben Hogan with his recognizable signature. 'Bantam' Ben Hogan was an 9x major winning American professional golfer, generally considered one of the greatest players in the history of the game. 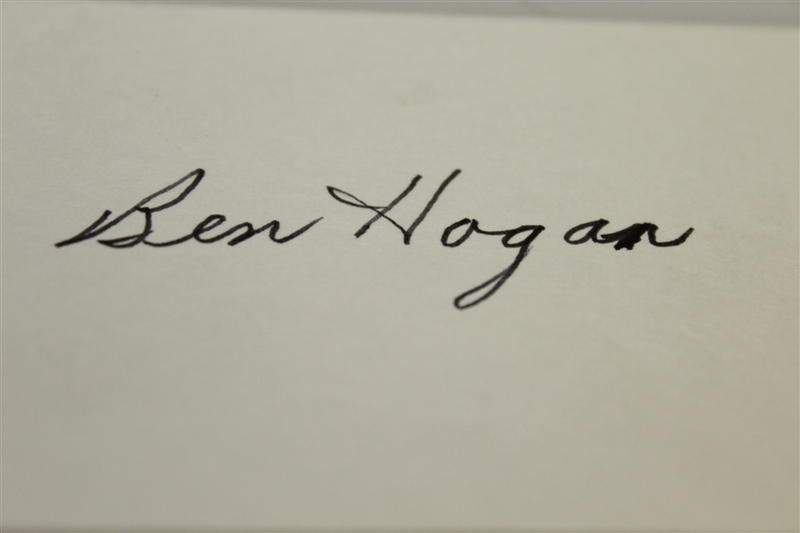 Born within six months of two other acknowledged golf greats of the twentieth century, Sam Snead and Byron Nelson, Hogan is notable for his profound influence on the golf swing theory and his legendary ball-striking ability, for which he remains renowned among players and fans.